July | 2008 | Reserve Result. Director Pete Sollett of Five Feet and Rising returns with his follow-up film – Nick & Norah’s Infinite Playlist – and it looks hella funny. It’s a tale of two teenagers, nursing broken hearts, fall in love during one sleepless night in New York while searching for their favorite band’s unannounced show. I love teen flicks and Michael Cera revs it up in the trailer – enjoy! Nick & Norah’s Infinite Playlist hits theaters on Friday, October 3rd of 2008, scheduled to be shown at Toronto International Film Festival (Special Presentations) in September, and is based on Rachel Cohn and David Levithan’s novel. Pete Sollett is repped by Craig Kestel @ William Morris Agency. RR’s Chris Safos endorsee Brad Bailey (The Accidental Pundit) is featured on CNN.com discussing CNN’s two-part documentary on iReport.com. The Yale and Princeton graduate Brad Bailey of Los Angeles, California, watched the CNN documentary at his home with colleagues who have been involved in the film industry. Bailey states that there aren’t enough black roles on television and in movies, For me, I think it’s about who creates these roles, Bailey said. I’ve only been successful when it came to roles that were specifically designed for being black. To read the full article and watch the video, visit CNN and IReport. On his short film – Stalker’s Dating Guide – screening tonight @ Action On Film Festival: Stalker’s Dating Guide was a really fun piece to direct. It’s a story about Stacey Wolfe played by actress Joanie Bannister, who finds herself “Creatively Observing” men whom she is interested in. The story becomes really interesting as she is tricked by her best friend Wendall (Andrew Sensenig) into attending a Stalker’s Anonymous meeting. On Stalker’s nominations @ Action On Film Festival: We won 2 out of the three awards we were nominated for. Joanie Bannister (also nominated for best actress) won the award for Best Produced Screenplay. The writing team comprised of Joanie Bannister, James Arnette and Myself won the award for best comedy short screenplay. On transitioning from being a feature film producer to directing: The transition was good. I think that this project was a great way to implement a lot of what I learned from producing Borland as well as utilizing my extensive back ground with actors in theater. I had a great group of folks to work with, Cinematographer David Pinkston, Producer Joanie Bannister and a wonderful cast of actors and crew. On his upcoming projects: Currently I’m shooting a film called Waking up that stars Sean Brison (From Mel House’s Walking Distance and Stalker’s Dating Guide) and Brandi Price (from Ken Farmer’s Rockabilly Baby). The film is about Mikal (Brison) a clairvoyant dreamer who awakes to realize that he will die if he does not figure out how to alter his current day’s events. Cate (Price) is Mikal’s ex-girl friend that turns out to be more important to his well being than he ever imagined. The project will finish prinicipal production in mid august and will premeire by the years end. I am in phase two of shooting my feature documentary called “Finding Passion” an international study of creativity and passion that spans the countries of India, United Kingdom , Mexico, Spain and U.S. It will be released fall ’09. Finally, I’m working on the film adaptation of a stage play I produced called “Love Crazy People”. Principal photography is set to begin Fall ’09. Director Martha Fiennes’ son and Ralph Fiennes’ nephew – Hero Fiennes-Tiffin plays young Tom Riddle who become evil Lord Voldemort in the sixth Potter film – Harry Potter and the Half-Blood Prince. Director David Yates of Harry Potter and the Order of the Phoenix directs this picture as well. Harry Potter and the Half-Blood Prince will hit theaters on Friday, November 21. The seventh and final film based on the popular J.K. Rowling books will be a two-part film. Harry Potter and the Deathly Hallows: Part 1 hits theaters on November 19th of 2010 and Harry Potter and the Deathly Hallows: Part 2 comes out May 2011. Rian Johnson is back with another film – The Brothers Bloom – the director that brought us Joseph Gordon-Levitt’s noir detective in Brick. I love the self-contained Brick so much, I’ve watched it at least 5x. Rachel Weisz, Adrien Brody and Mark Ruffalo star in The Brothers Bloom. Brody’s character, one-half of the world’s best con artists, decides to quit his life of crime. However, he’s persuaded by his brother – Ruffalo – to do one more job, swindling Rachel Weisz’s eccentric millionaire, but she turns the table on the duo. Musician Ruby James’ Everything Good Goes Away off her Desert Rose album will be feature in director Diane English’s The Women and its soundtrack. The cast includes Megan Fox, Eva Mendes, Jada Pinkett Smith, Bette Midler, Candice Bergen and Annette Bening, and hits theaters on Friday, September 12. And in the meantime, don’t miss Ms. James in Calfornia and Colorado. She’ll be performing at Hotel Cafe on Monday, August 4 @ 10:00pm in Los Angeles, and appearing at the AAA Radio Summit in Boulder on Thursday, August 7. 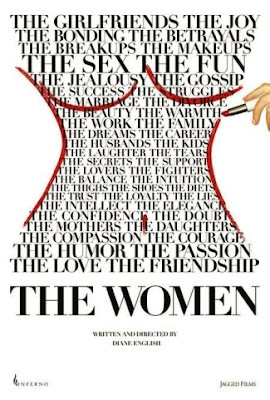 To watch the hilarious trailer of The Women, click below – enjoy! Our building was vibrating and then swaying motion moved in, we had a 5.8 magnitude earthquake with 3.8 aftershock. We’re FINE. It originated 29 miles southeast of downtown Los Angeles near Chino Hills in San Bernardino County. On ending one of his and his father’s bonding rituals: We would drink together and smoke together, and it’s just a bad deal. It’s not something that is conducive to being a role model—no iconic actors that I know of have problems like that. And I don’t know how to do it like a gentleman. I don’t know how to have one drink. Check Details.com tomorrow for its extended version of Emmy winner LaBeouf interview. LaBeouf is repped by Patrick Whitesell and Megan Silverman @ Endeavor, and his new film – Eagle Eye directed by D.J. Caruso – hits theaters on September 26. Synopsis of Eagle Eye: Two strangers become the pawns of a mysterious woman they have never met, but who seems to know their every move. Realizing they are being used to further her diabolical plot, they must work together to outwit the woman before she has them killed. Caruso is repped by Rick Nicita, Scott Greenberg and Joseph Cohen @ Creative Artists Agency (CAA). Ed Westwick, Leighton Meester and Chace Crawford came out to support Blake Lively, Alexis Bledel, America Ferrera and Amber Tamblyn at The Sisterhood of the Traveling Pants 2 premiere at the Ziegfeld Theatre in New York City. The Sisterhood of the Traveling Pants 2 is directed by Sanaa Hamri and opens in theaters on August 6th. Skateboarder and The Life of Ryan‘s Ryan Sheckler graces the cover and pages of ESPN The Magazine promoting his sport and television hit show. The third season of The Life of Ryan is currently filming in California and will air on MTV. Sheckler and print models attend TEEN Vogue’s Fashion Live! at Huntington Beach in California. Ryan Sheckler is repped by Maggie Dumais @ Creative Artists Agency (CAA).